It’s sublime. The lyric, the melody … it is a perfect song. Dolores wrote yet another masterpiece with a very simple turn of C.
Hi Dolores. Thank you forever. You know, this song makes me think of an italianý story I listened to as a child. It was called “L’ultima fetta di arcobaleno” (the last slice of rainbow). It can be found on Youtube. Not for the story, but for the way an Italian actress, the talented Giulia Lazzarini, played the wind. Here, this wonderful song has the voice of the wind. 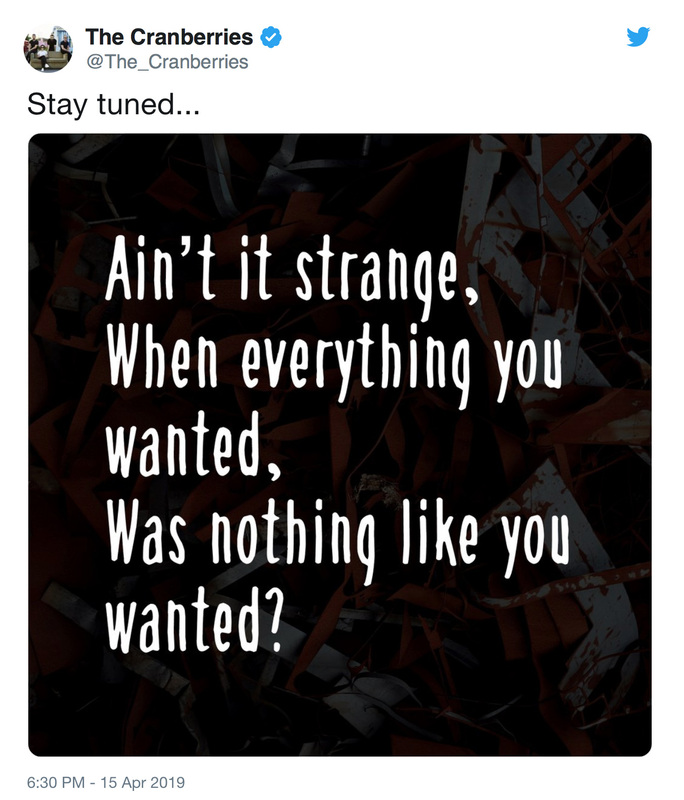 I’m a big fan of The Cranberries since To the faighful departed but this lyric is too simple. I’m kind of disappointed with the lyrics since Roses. I love the song. Great way to end an album, to end a career. Thanks The Cranberries. 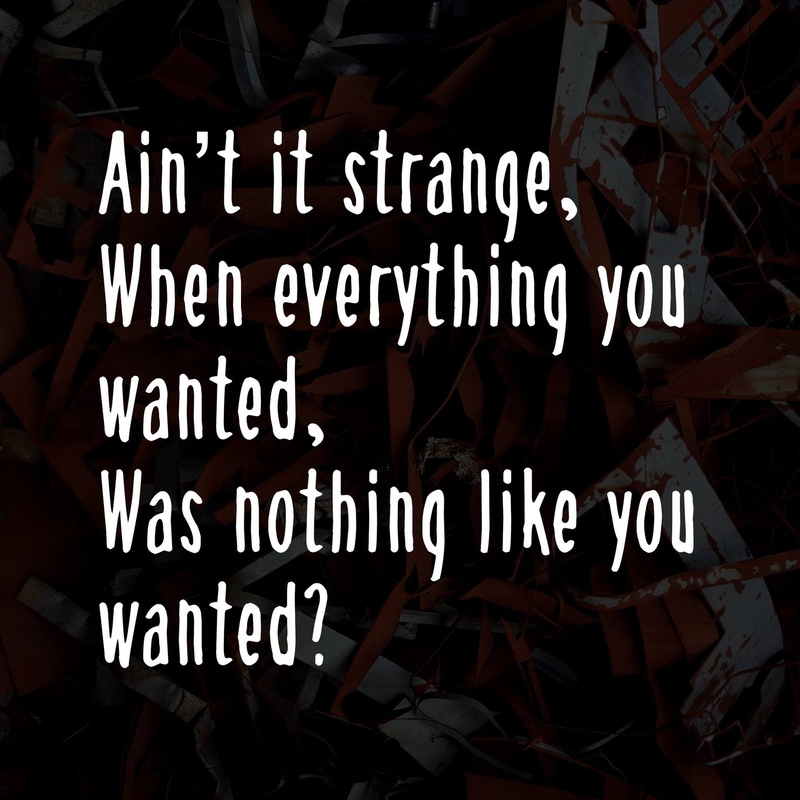 By the way I think there is no LIKE (you wanted) in the lyrics as written above by the band. Also, could be TAME (the spirit) all along no TAKE, just an opinion, not so sure. What do you guys think. I find it absolutely her. Even the oh oh oh oh oh … has a kind of yodel in it. Furthermore, if there had been a backing vocal it would have been specified in the credits, as for All over now and The Pressure (Backing Vocals: Johanna Cranitch). In this song I personally remember the caressing and dreamlike way in which she sang “Chynamite” with D.A.R.K. I’m with you there, “her” voice sounds really different here. I was even wondering if only the” oh oh oh”s are her voice…. Ok, I fell in love with this song. First of all for words. Few, essential, those that should have been enough. Nothing more, nothing less. yes the yodel is her, is her voice, I was referring to the part sung before. But perhaps it is the fact that she sings live, that is without filters during the mixing phase. I thought about it, listening to it again, it’s her but with a different voice, and as I wrote before, she feels that her voice is tired and has lost a lot over the years. In my humble opinion, the age, the cigarettes or the tiredness I read elsewhere have nothing to do with it. In this song her voice reflects in a poignant way and totally what she is singing. It reflects the song itself. The song is made up of powerful whispers because what she sang could only whisper it. And it is so beautiful though so painful.